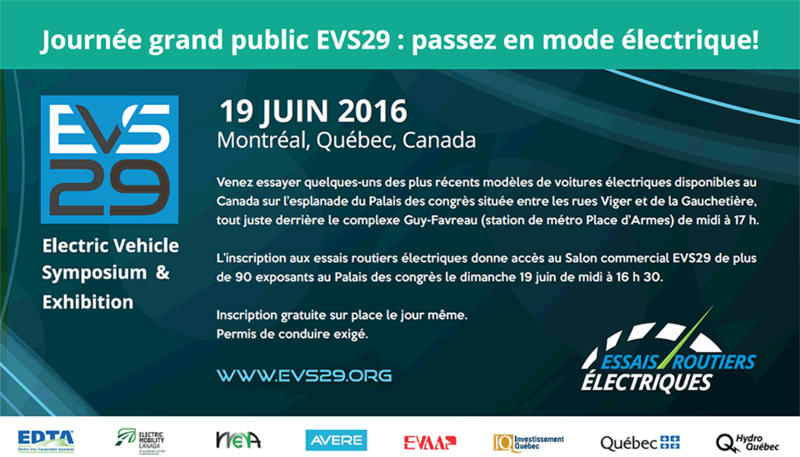 Send us your paper submissions to become a speaker at EV2019VÉ, Canada’s most renown e-mobility conference, taking place on May 6-9, 2019, in Québec City. Just fill out our online form. Submission details and guidelines about tracks and sub-tracks are available on the EV2019VÉ website. But please, hurry up! Our call for abstracts ends on Friday November 23, 2018 at midnight.